We will take time off for Thanksgiving and Christmas. Our next public sitting will be New Year’s Eve, 2017 (December 31st), at 5pm, Eastern. 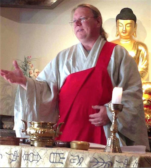 You may join us in person, or online, for a Year End/New Year service and Dharma talk. Between now and then… Happy Thanksgiving and Merry Christmas!